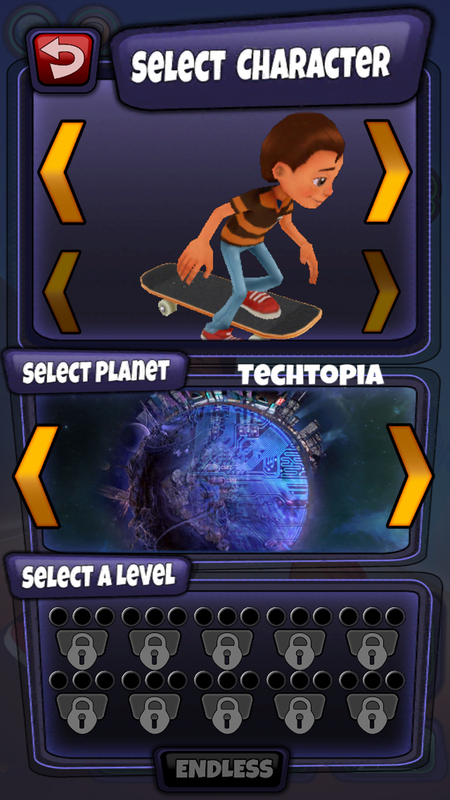 Take your skating skills out-of-this-world and beyond! Available on all iOS devices. 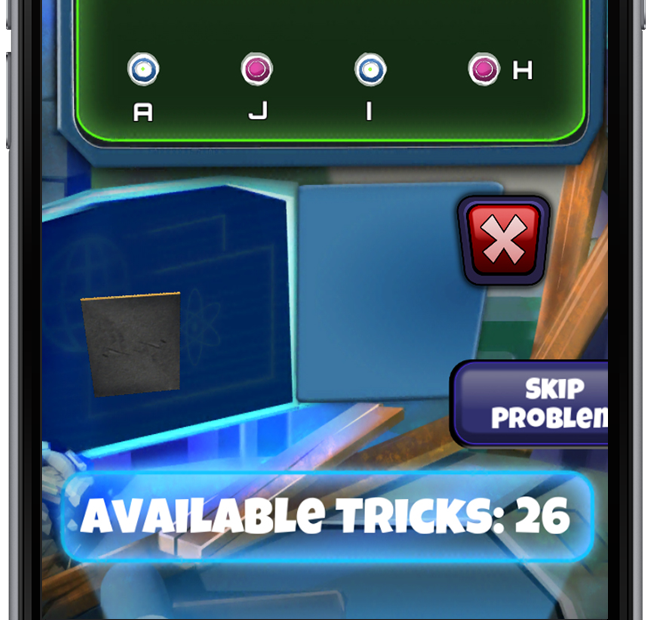 Use the skate lab to minipulate the track and do rad tricks. 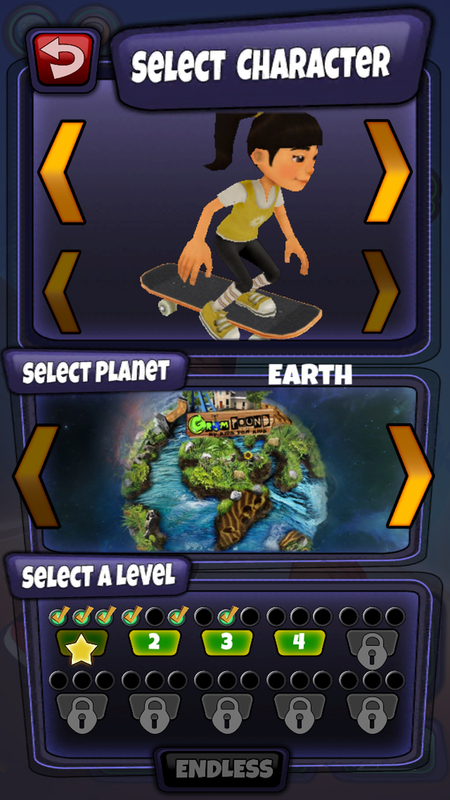 Skate and unlock 3 new Grom Worlds. 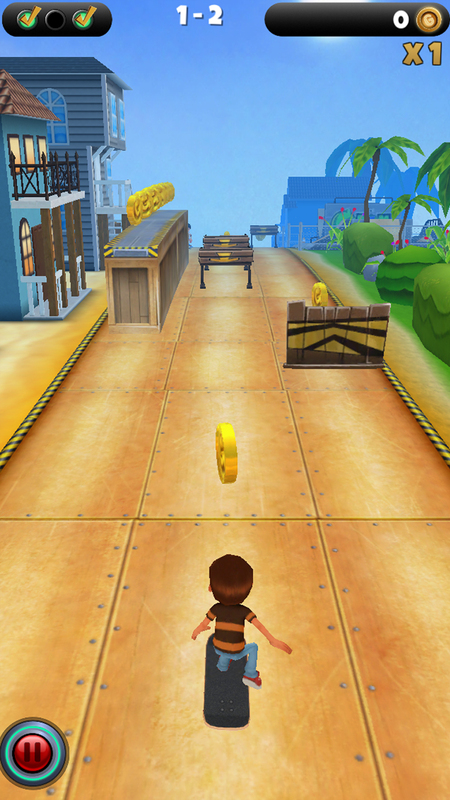 Race through 90 levels of skateboarding action. Get power-ups to enhance your game play. Socially connect, post your score and challenge your friends. 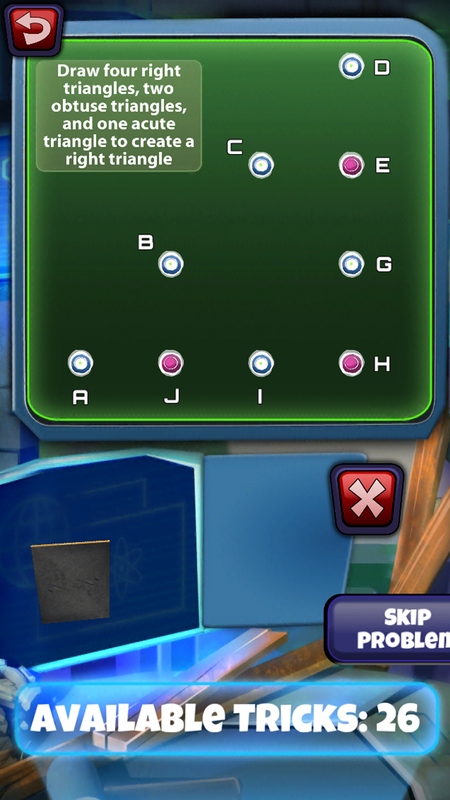 Share your score and challenge friends. 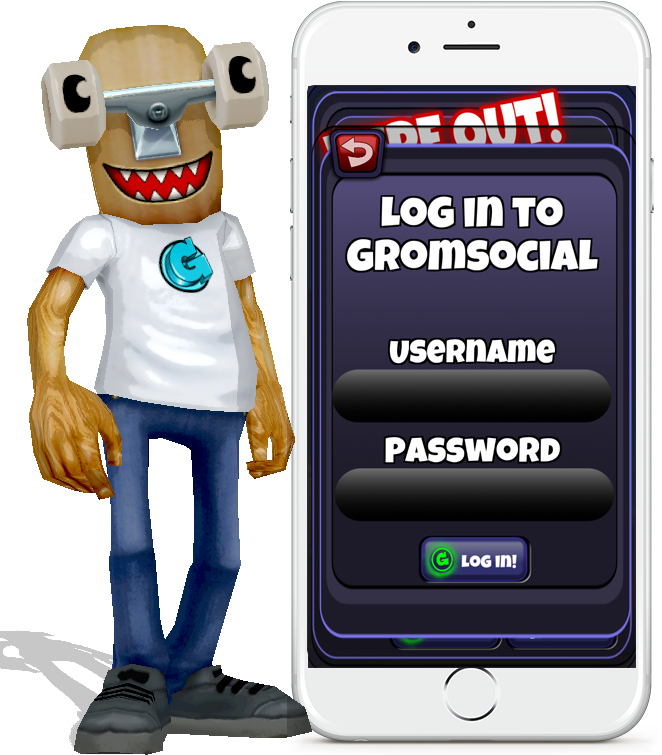 Now you can connect to your Grom Social account and share your score on your wall and challenge your friends to beat you. In the Skate Lab you can solve a problem and get a new ramp. 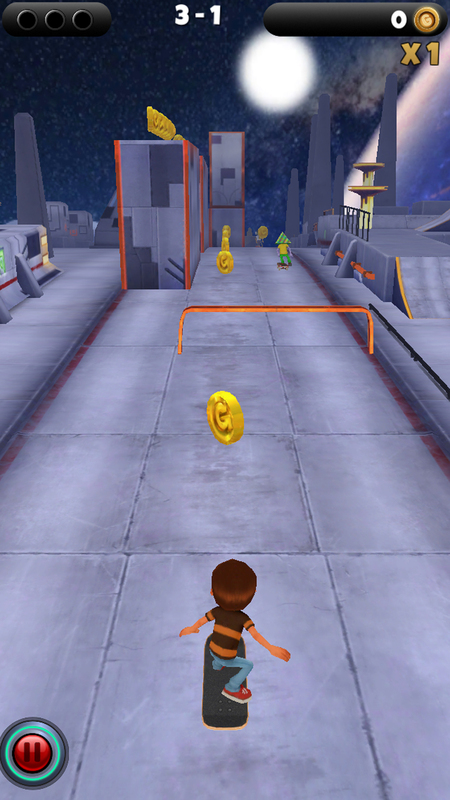 These ramps let you do awesome tricks and multiply your coins you collect. Can’t jump high enough? Use this power-up to jump twice as high and collect items that are otherwise out of reach. Don’t let a crash ruin your run! 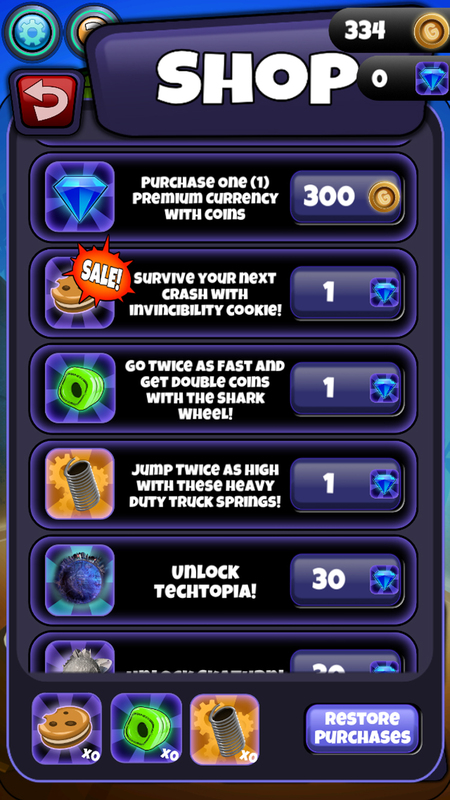 Power up with an Invincibility Cookie to survive a crash and keep on skating. Power up with Shark Wheels to increase your speed. Double your speed, double your challenge and collect double the amount of coins with this power-up! 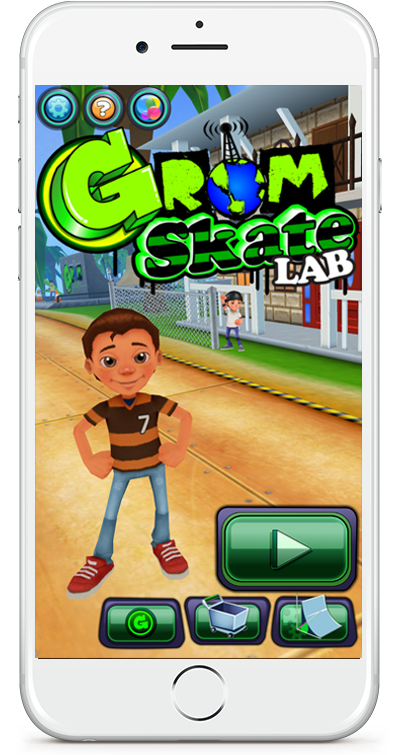 The Grompound is an epic place to start your Grom Skate adventure! 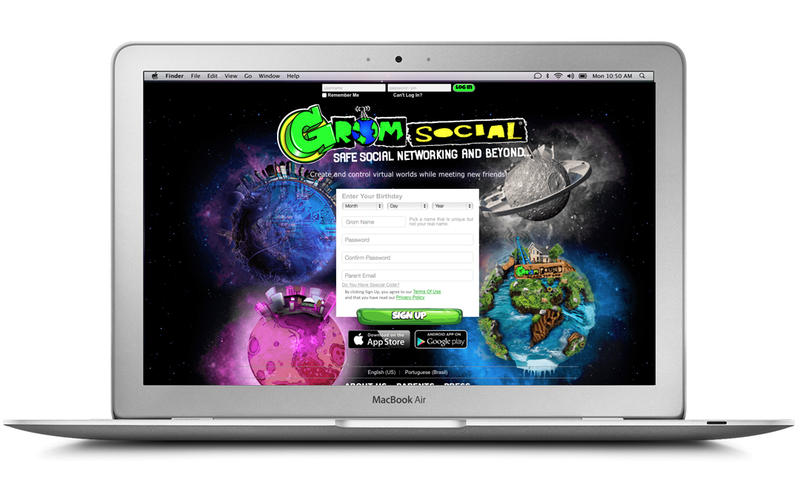 It’s located on planet Earth and it’s the headquarters of Grom Social, a social networking site where kids can connect, create and share cool ideas in awesome virtual worlds. There’s a ton to do at the Grompound with Zach and the Grom Helpers, but skating is off the hook! 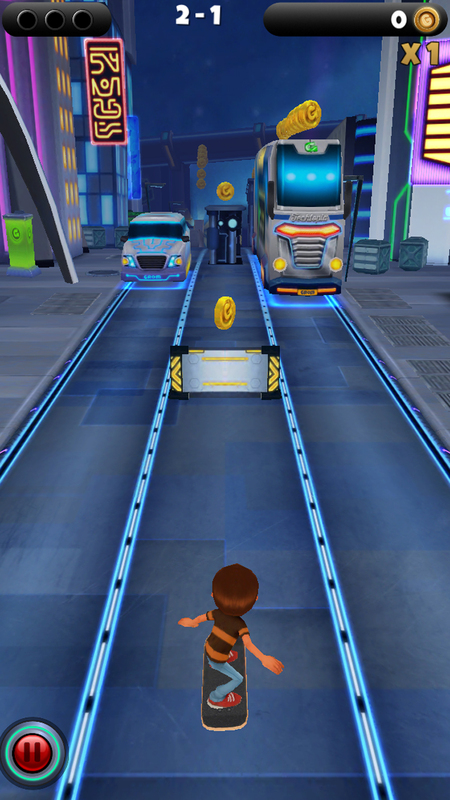 Use your skills to race through courses, dodge obstacles, traffic, and other skaters while you collect coins and do tricks. Don’t forget to check out the Skate Lab where your geometry skills pay off in a big way and earn you extra tricks. Time to get amped! Ready to skate into the future? Techtopia is going to blow you away! It’s the furthest planet out in the Gromarama5 Solar System but it shines like a star – it’s all blue steel, high-rise and neon. Techtopia is the home planet of Grom Helper, Developer Dan. 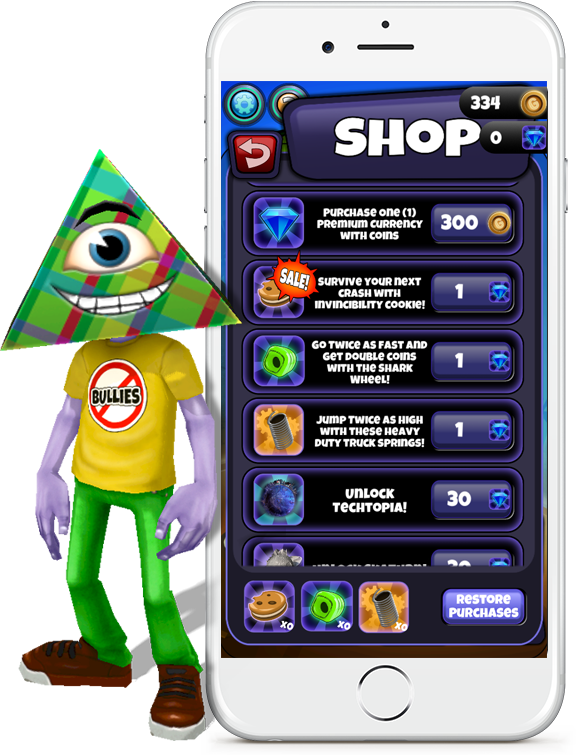 The Gromarama5 Solar System depends on Techtopia for all of their new technology and innovations so you better be ready for the unexpected. Anything goes on Techtopia! Skaturn is the home planet of Grom Helper, Skate Ray. Skaturians are crazy about action sports and have taken skateboarding to the extreme. They skate the “Ring” which circles the entire planet and have built ramps that produce insane g-force! If you’re up for a challenge, Skaturn is the planet for you! Just watch out for those rails – they’re gnarly! Get Your Grom Skate On. Available for mobile and tablet devices.